It is storm season again. Your cat or dog may be anxious or fearful. Types of anxiety include: separation anxiety, storm and noise phobia, or aggression (directed at humans and/or other dogs). Short-term stress response is considered healthy and necessary behaviors, allowing dogs and cats to be alert and take action (e.g. retreating from a stranger, scary sound, another dog/cat). These responses become an issue if they are prolonged such as every thunderstorm or every time that the owner leaves the house. ** Your dog is doing these behaviors due to stress/anxiety and their attempt to cope with stress/anxiety. Punishing your pet just escalates the anxiety/stress. Treatment recommendations depend on the underlying cause of the anxiety. I recommend contacting your regular DVM and making an appointment to discuss treatment options. Heart or cardiovascular disease is any medical condition of the heart or blood vessels that disrupts the normal function of the heart or vessels ability to deliver oxygenated blood to the patient. Heart disease can be broken down into two categories – congenital (born with it) or acquired (happens later). Examples of congenital disease include PDA or Patent Ductus Arteriosus or Atrial Septal Defect (hole in the heart wall). Examples of acquired disease include valvular heart disease. Some breeds have inherited heart disease that can be either congenital or acquired. How do I know if my pet has heart disease? ** Some patients do not show these symptoms until the heart disease is more advanced. If any abnormalities are detected then a cardiac work up would be recommended- labwork, chest radiographs, and EKG. Depending on results, a referral to a veterinary cardiologist may also be recommended for a cardiac ultrasound. Within the past month, our local news and radio station reported a new potential outbreak of H3N2 in Austin. Our office has received a few calls regarding this report. I have called the state and local veterinary diagnostic labs and currently they have only diagnosed H3N2 in Austin and some in Houston. No cases are reported here in DFW at this point. I just wanted to give you information so that you are aware of canine influenza and your options. Please call our office if you have any further questions or concerns. 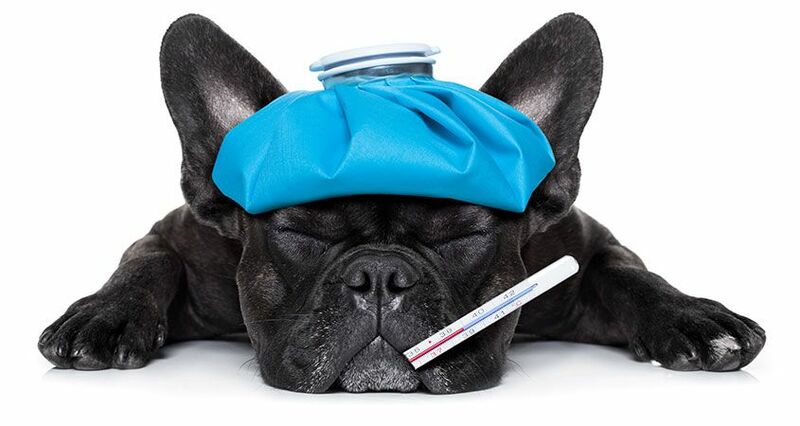 Canine influenza is a highly contagious respiratory infection of dogs caused by the influenza A virus. In 2004, the first strain was reported to be the H3N8 and was found at dog tracks with racing greyhounds. There was another outbreak of canine influenza with a new strain H3N2 in May 2015 in Chicago, Illinois with a few cases in Austin and Houston. Last week, there was a news report on local news and radio about a possible outbreak of canine influenza with the same strain as Chicago down in Austin and Houston. Most dogs have a mild form of the infection, but some dogs may develop pneumonia and have a more serious course that requires hospitalization. ** Some dogs may show no signs or illness but can shed the virus and infect other dogs. Dogs are most contagious during the 2-4 day post infection when virus is shed from nasal secretions. Can be diagnosed early phase of the illness (less than 3 days) by testing nasal or pharyngeal (throat) swabs. Most accurate test is a blood test with 2 samples – the first collected during the first week of illness and the second collected 10-14 days later. No medication is available to treat canine influenza directly. The illness must simply run its course. Currently we treat canine influenza patients with supportive care and making sure the dog is as comfortable as possible, hydrated, and eating well which help boost the dog’s immune system so it can fight the virus on its own. Dogs that have nasal discharge or pneumonia signs are usually given an antibiotic because they are likely to have a secondary bacterial infection. Some dogs with more severe illness may require hospitalization for intravenous fluids, oxygen, nebulization, and antibiotics. Seek veterinary care at the first signs of a respiratory infection in your dog because early treatment can result in better outcomes. Keep your dog at home if he or she has signs of a respiratory infection, and contact your veterinarian regarding appropriate care and evaluation. Routinely wash your dog’s food and water bowls and toys with soap and water. Sanitize your hands with soap and water or an alcohol-based hand sanitizer, and wash your clothes after coming in contact with a dog that has signs of a respiratory infection. Make sure the professionals you know who provide care for your dog(s) are knowledgeable about canine influenza and are taking appropriate precautions to minimize its spread. Canine influenza does not usually survive in the environment beyond 48 hours and are inactivated or killed by disinfectants. We have both strains of canine influenza vaccines in our hospital. Vaccination protocol recommended is a vaccination of each strain and then boost each vaccine in 2-4 weeks. The H3N2 is $27.00 /vaccine and the H8N2 is $25.76 /vaccine.